Andy Murray is pelting a tennis ball in his whites and I have a hankering for Pimms, this surely means its SUMMER! I swear I feel like Buddy the Elf when he discovers “Santa” is coming to Gimbels. So what better way to celebrate the start of the British Scottish summer (we both know these are two entirely different things) than a feast of seafood, at the beach, in nautical clothes huh? 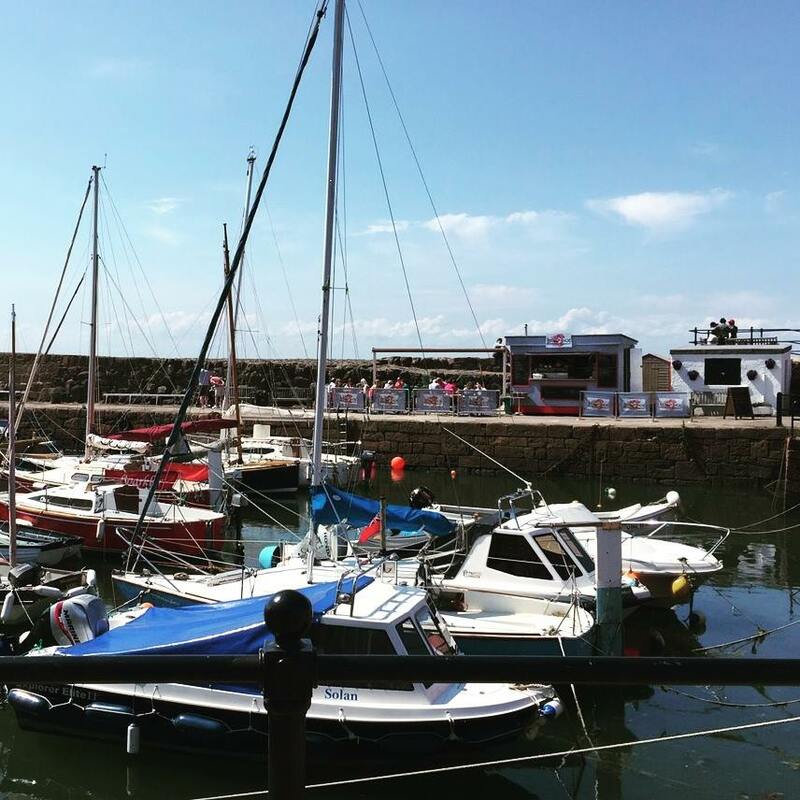 The Lobster Shack, not to be confused with The B52’s Love Shack (although both are equally good), is situated on the harbour in North Berwick and quite frankly, you can’t get a more picturesque setting to indulge in summer seafood. 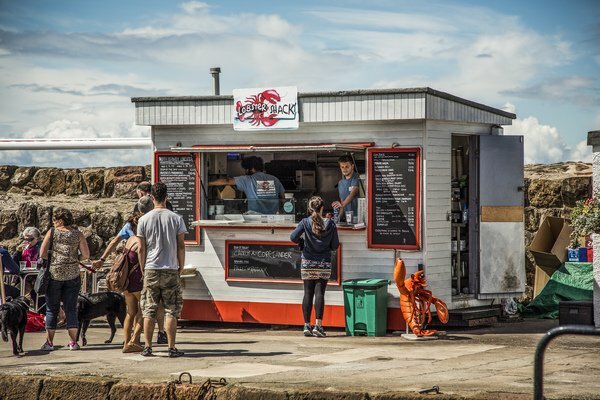 Opening Times – The Lobster Shack is weather dependent so they recommend calling (or check their Twitter feed here) before travelling to make sure they are open. The current opening times until September 2015 (these are subject to change) are 12 – 6pm. 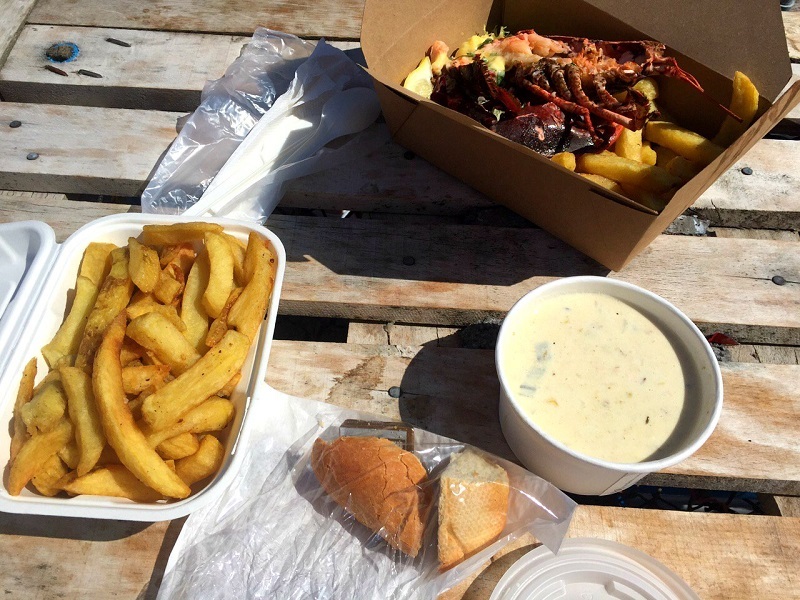 The Weather – The Lobster Shack is little more than a food van with outdoor seating (albeit, very shabby chic fisherman style seating). While eating outdoors in the sun is preferred you could get away with outdoor dining in drizzly weather (light rain) if you are suitably attired. I would not, however, recommend The Shack if the weather is pelting it down (heavy rain). 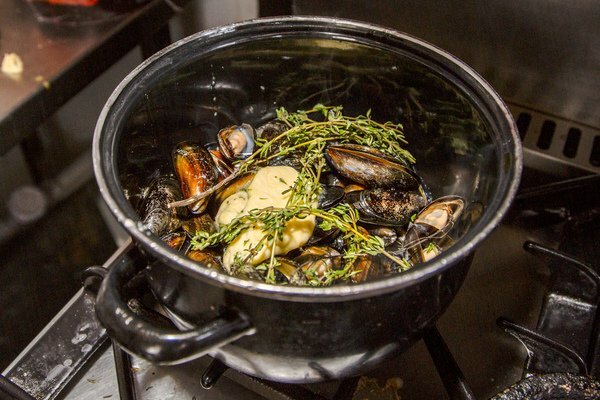 The folk over at The Lobster Shack pride themselves on fresh, local, ethically caught produce and knowing their suppliers on a first name basis. If you check out their website you can find out who supplies everything from their gas to their lobster. It’s this kind of transparency I appreciate in the food industry and sadly it’s something I tend to find only in small businesses. In an age where we, the consumer, are becoming less trustworthy of the food we’re buying I wonder if it will force us to seek out these small artisan businesses who are much more dependent on consumer loyalty and reward us with honesty. The menu is small but perfectly formed. 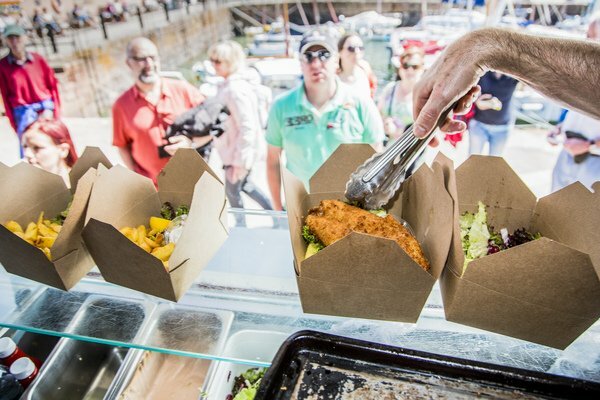 You can have elegant dining with whole lobster, food on the go with a seafood chowder and your classic fish & chips, so there is something for everyone. The Shack even provides smaller portions for the kids although the prices aren’t listed on their menu. 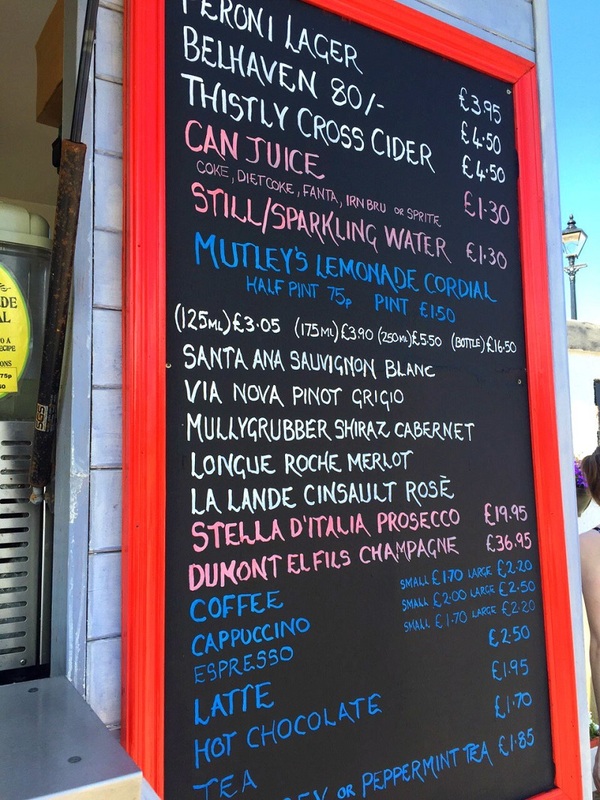 The drinks menu is also very comprehensive and, on account of being fully licensed, you can enjoy anything from a cold beer to a bottle of champagne and the kids are sorted with fresh Lemonade cordial. We arrived around 3pm on a sunny Friday and, like most seaside towns on a good day, it was relatively busy but I suspect it may be busier around lunchtime & dinnertime. 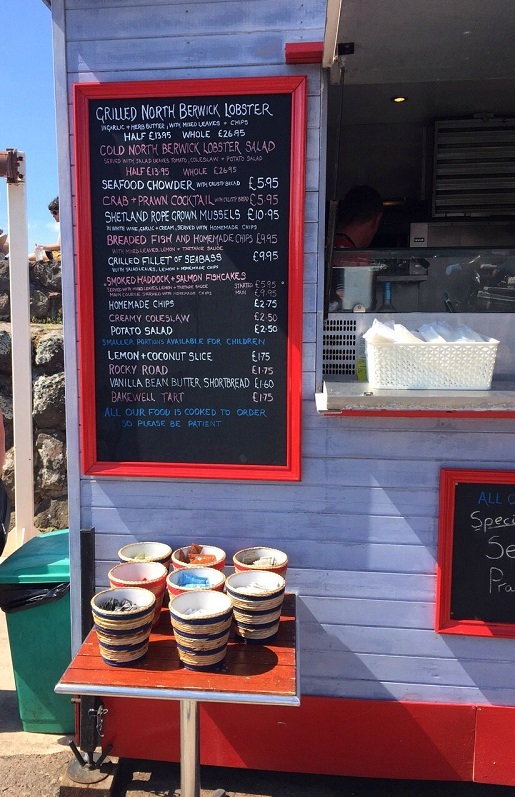 The drink & food menu are nailed to the sides of The Shack and you order at the counter. You’re then handed a plastic token with your order number and you wait (nearby) while you’re food is cooked to order. You will be given your drinks while you wait. Either bag a table or if there are none available there are several benches close by which line the small harbour.I admit, the peaceful setting is somewhat marred by the bloke bellowing out the numbers, but what can you do eh? This came to appox £27 which may seem steep for what is effectively a chippy but when you consider this order included lobster, I felt it was reasonable. Our order was ready in under 10 mins and it was truly, and without exaggeration, up there as one of the best seafood meals I’ve eaten (and this includes seafood from Venice and the Outer Hebrides). The lobster was cooked to perfection, it was tender, juicy and the simple garlic & herb butter with a wedge of lemon wasn’t overpowering, instead it brought out the natural flavour of the fish. The lobster was served with a portion of chips and was very filling. If you are a newbie to eating lobster, its very messy. So remember the shell crackers (which The Lobster Shack provides), a supply of wet wipes and don’t be afraid to get stuck in. The chowder was very thick, creamy and came with hearty chunks of white fish, salmon, potatoes and sweetcorn. I suspect it also had a hint of lemon which stopped it from feeling to heavy on a warm day. While the chowder is served with chunks of bread, they were very small (and we all know how greedy I am) so I ordered a portion of chips alongside for the dunking action. 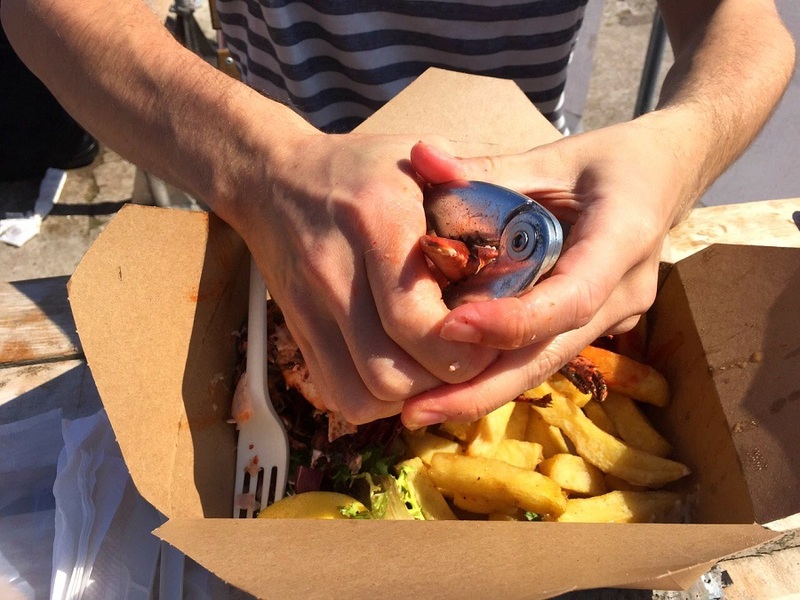 The Lobster Shack’s ethos of ethical, sustainable food filters down to various other aspects of dining too. The cutlery and food containers are biodegradable and the seating (appears to be) reclaimed. Yet despite this effort, the ‘glasses’ were still plastic festival style cups and I couldn’t see any option for plastic recycling, which isn’t exactly congruent with their sustainable philosophy. The solution? Well it’s a tough one, do their customers really want to drink wine or champagne out of a paper cup or is it best to compromise in 1 area for the sake of keeping the customers happy? This is, I imagine, precisely the dilemma that small businesses and food trucks face when competing with ‘settled’ food establishments. All in all, I loved The Lobster Shack and I would definitely go back. I’m eager to try their mussels and to indulge in a whole lobster to myself. Yeah, it’s on the pricey side for ‘takeaway’ food but while you are paying for good quality, fresh, local, sustainably sourced food, you are also paying for what I would consider to be the ‘higher’ end of takeaway style food. I’ve been to the award winning Fish & Chip shops and spent approx £16 on just 2 portions of fish & chips and 2 drinks, and at the end of the day, it was just fish & chips. 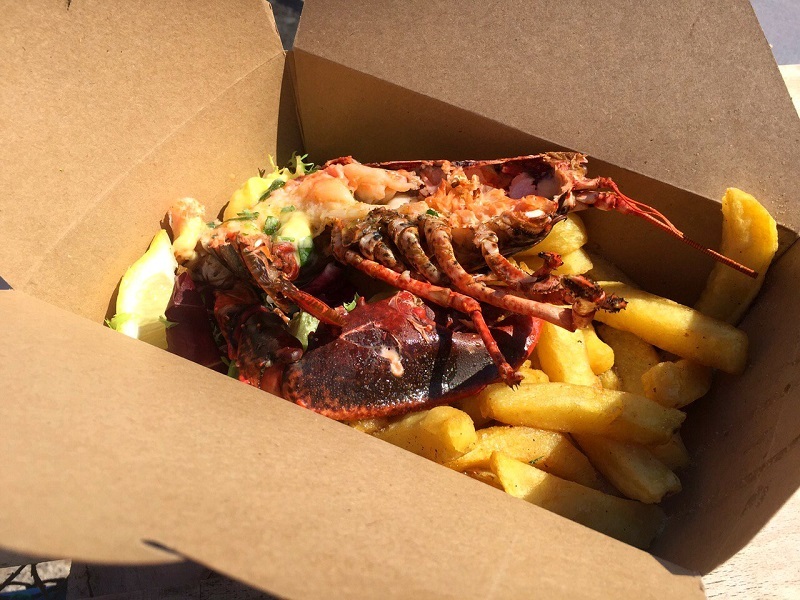 I can’t imagine people go to The Lobster Shack purely for fish ‘n’ chips, despite how good they may be, because for £3 more, you can get 1/2 lobster & chips. My point is, lobster is expensive, there’s no getting around it, but we go to places to like The Lobster Shack because we don’t then pay the inflated restaurant prices. The Lobster Shack is the kind of place which, because it’s off the beaten track and is relatively unknown, retains its rustic charm. Come here in the height of summer for dinner and I reckon you will probably still be able to grab a seat. It’s also a very romantic spot for a date or special occasion. I mean where else can you indulge in a meal of lobster & champagne, on the seafront, at a reasonable price? Doing this in the very small window that is the Scottish summertime is a perfect day to me. Win 2 tickets for the Foodies Festival in Edinburgh!